The roof is dead, Jim! When you look at a roof, can you see the difference? I can! Let me give you a couple of tips. 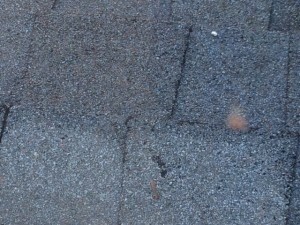 Asphalt and fiberglass-asphalt shingle are the most common roofing materials you will see in this area. They are built with a dark underside covered with granules of asphalt or asphalt-fiberglass particles. Over time, the particles wash off. The first thing you will notice as a roof ages is that the edges of each rectangle seems darker, more visible, from a distance. Up close, you’d see that there is more erosion of the granules closer to the edges which creates the darker appearance. 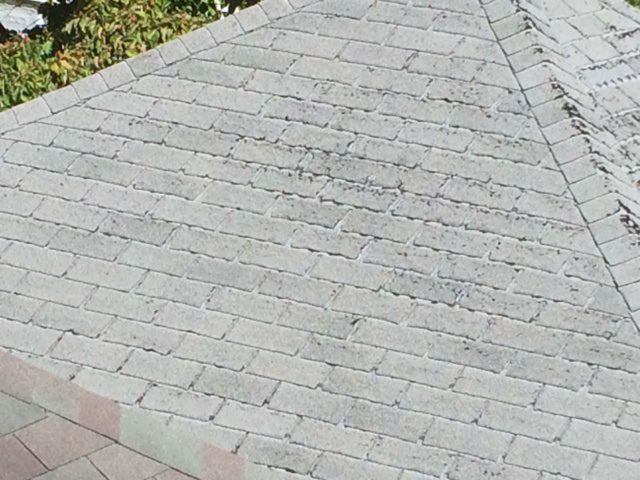 When more erosion takes place, the roof develops dark spots where a section of granules has eroded through to the dark under-layers. 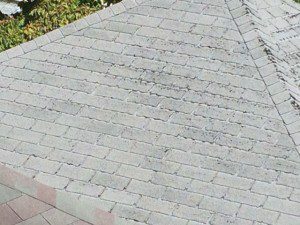 Especially in fiberglass — but in both kinds of shingle — the next thing that may happen is vertical cracks through the shingles. 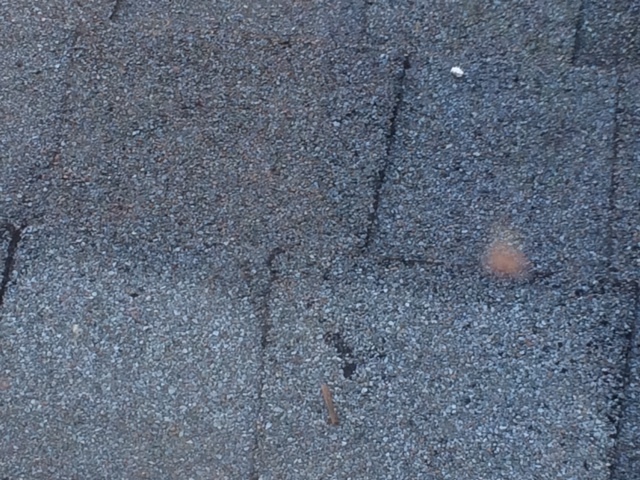 When this kind of erosion and cracking occurs, water has more of a chance to get deeper into the shingle. Come winter, water seeps in, freezes, then expands the crack or worn spot even more. It speeds up the death of the roof. The water seeps deeper in with every rain. 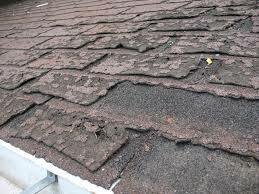 The next sign of a dying roof is when shingles are cracked enough to fall off. Even then, it is possible the roof is not leaking yet. Roof shingles overlap one another, so there is a lot of protection. So even when the roof is pretty far gone, it might not be leaking. Like people, roof shingles age. Some age more gracefully than others. Most shingles are designed to last twenty years. There are some fifteen year and thirty year shingles out there. A well ventilated roof will last longer than one that can’t breathe. 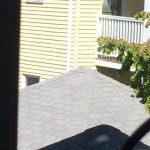 A roof that is not in direct sunlight will fare better. Roof shingles are pretty resistant to small falling branches, but sometimes they will get damaged by heavy wood falling on them. 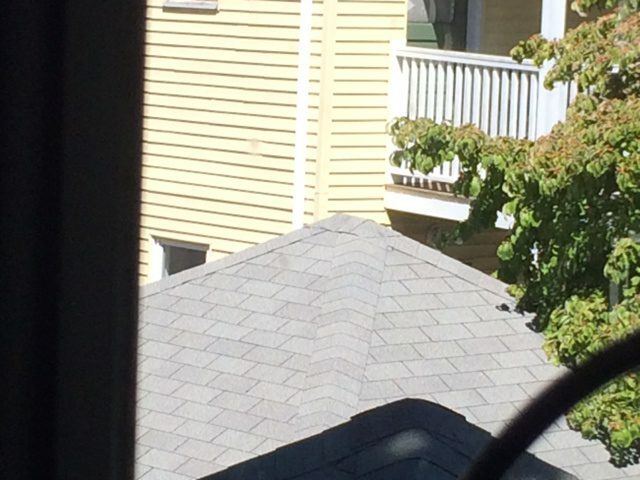 Wind can blow a roof right off, under the right (or wrong!) conditions. As a home owner, expect to replace a roof every twenty years. As a house hunter, use this guide to help you estimate if your roof is closer to new, middle aged or old.